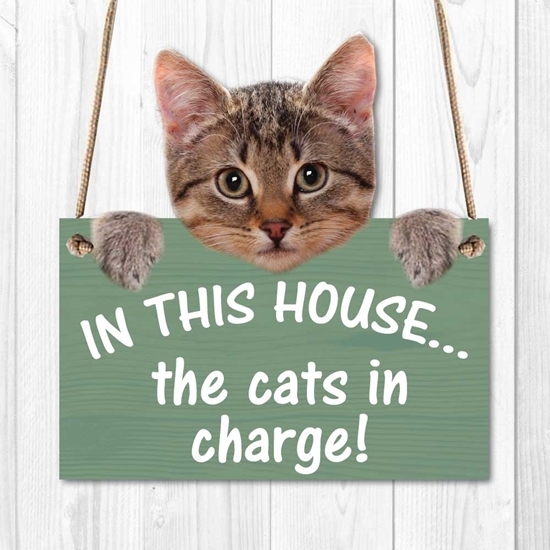 IN THIS HOUSE THE CATS IN CHARGE!... 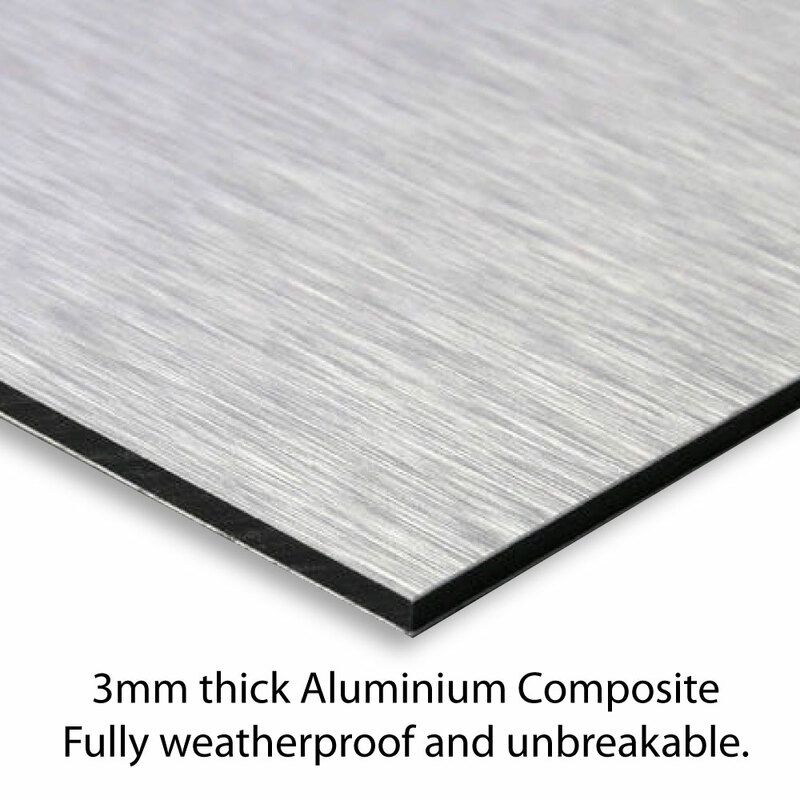 Cute shaped aluminium composite metal sign.White wooden effect with 2 hole hanging. IN THIS HOUSE THE CATS IN CHARGE!